Stick to your fast and experience bites of goodness from Yellow Cab Pizza’s Lenten Bundle Promo! Skipping meat this Lenten Season? Eating meatless meals during the Holy Week doesn’t have to be a struggle. 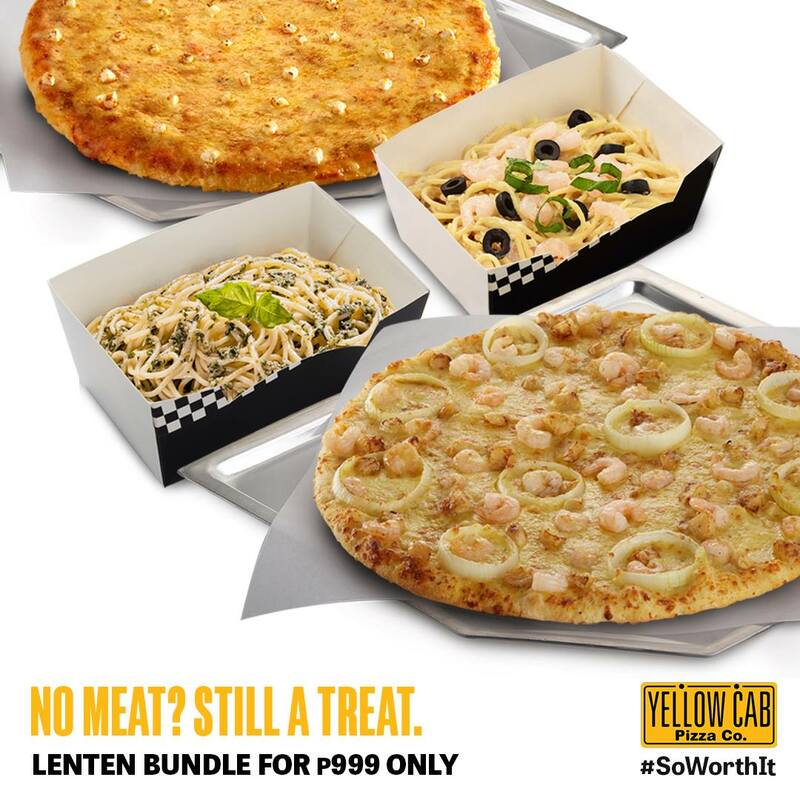 Bring Lent to life and load up on great savings with Yellow Cab Pizza’s Lenten Bundle Promo. Savor every bite of the soft and chewy seafood chunks when you order 10” Roasted Garlic & Shrimp + 10” #4 Cheese + Large Shrimp Alfredo + Large Pesto Pasta – ALL for Php999! Per DTI-FTEB Permit No. 4422 series of 2019. This promotion is available in all Yellow Cab stores nationwide except: Subic – Sampson cor. Dewey, Centennial, Boracay Station 1, Boracay Station 3, MOA Arena, Camaya Coast & Brent. Available for dine-in, take-out, delivery & curbside pick-up. 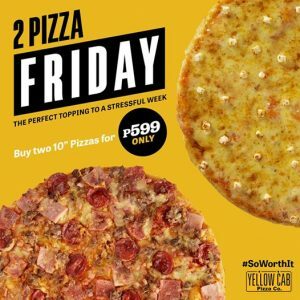 OTHER Yellow Cab Pizza’s FRI-YAY FRIDAY PROMOS! Enjoy 2 REGULAR size pizzas every Friday for P599 OR 2 LARGE 14″ Pizza for P999. You can choose from 5 available pizza variants. Indulge in two (2) 10” (10-inch) Pizzas for only P499! Choose from Manhattan Meatlovers, Hawaiian, Garden Special, New York Classic and BBQ Chicken Pizza (with FREE 10” Cheese Pizza). 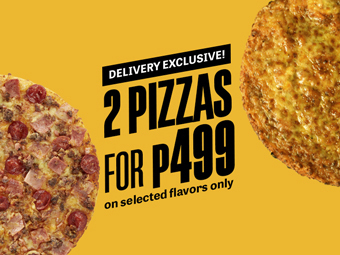 This is a delivery exclusive promo in selected Yellow Cab delivery stores nationwide. (EXCEPT: Subic Sampson cor. Dewey Avenue, Tacloban, Boracay Stores, MOA Arena, Camaya Coast & Brent). 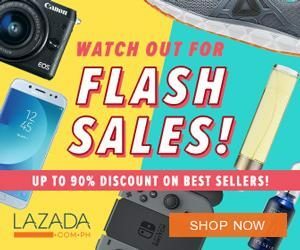 It is not valid in conjunction with other ongoing promotions. For details and updates, you may follow their official Facebook Page.